There are few topics of genuine interest for people from the Indian male fraternity. Cricket, Bollywood (with special emphasis on the Katrina Kaif! ), Politics, General Affairs (including the US, Japan, China, Pakistan et al), Cars, Gadgets and Technology (mobile and tablets included because I used this word fairly loosely and broadly!) and Women. Under the topic of women, a few sub categories get more interest than other’s. One of them is the topic of “a womandriving a car”. “They don’t know driving”, “They can’t drive”, “I bet it’s a girl driving that car”, “She can never get the parking right”, “Reverse parking and she? Pray for the owner of the other cars”. I heard all of these words (& more) for a large part of my growing up years (and continue to hear them even today!). Somehow somewhere, I believed it to be true. Consequently, I could not get myself to drive a car for several years. One fine day, I decided I had to learn car driving. I can’t recall why, but this one burning desire consumed every waking moment of my life.And so I enrolled to a driving school. Unfortunately for me, during one of those learning sessions, I had a ‘head-on’ collision with a private bus. Fortunately for me, the car and I survived. Almost all the boys / men I knew said “I told you so! This is not meant for you.” I listened to them and believed it. As a result, I stopped the lessons and driving. After a few years, I mustered the courage to again enroll into a driving school. I completed the course and got my driving license. But the lack of confidence and fears persisted. So I rarely drove. After a few years, I got fed-up being dependent on others for ferrying me around. But I still lacked confidence, so I decided to refresh my driving lessons. Thanks to a friend who offered to risk putting his life at stake with my amateur driving, I lay my hands on the steering wheel.I drove like an amateur. If I saw vehicles come near me, I’d steer away. If it was a big vehicle, I’d freeze and give way. If there was a junction in sight, I’d pray for it to be clear (along with a list of bribes to the Almighty!). If there appeared to be traffic ahead, I’d wish all the vehicles disappeared by the time I reached. After a few patient days, my friend had THAT talk with me. He said “Why are you so scared? Rather, what are you so scared of? I’m the one who should be scared since you are driving. But I’m sitting here - happily next to you in spite / despiteyour driving skills. If you do drive, drive like a king. The road is yours to take.I BELIEVE in you, do you?” That was the moment it all changed for me, and driving a car has never been the same again. As I look back to connect the dots of my life, I have been fortunate that I’ve had people who believed in me at the most vulnerable and decisive moments of my life. 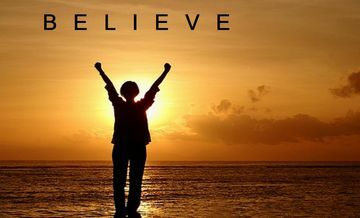 From my family, friends, teachers, colleagues and managers at work – they all had their way of saying this to me “I BELIEVE in you, do you?”. 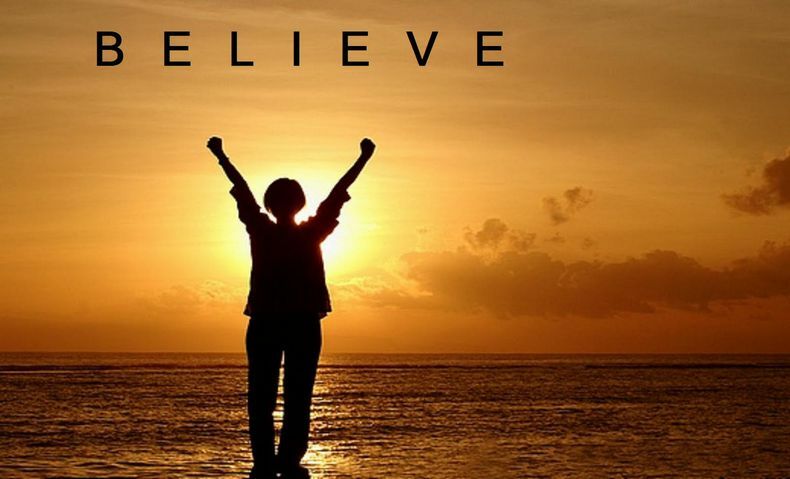 6 simple words, but truly powerful and truly transformational. I speak from experience here! Coming to women at the workplace, it is no different. Almost every working woman I’ve come across (irrespective of age, irrespective of ethnicity, irrespective of seniority, irrespective of past successes) has a lot these moments in her career. Moments of self-doubt, uncertainty, questions and fears around her capability, competency and value. Not once, not twice, but very many times. And to help her cross the chasm during these moments, many times all she needs to hear is “I BELIEVE in you, do you?”. Trust me, it can shape, influence and steer her career in unimaginable ways. You have a chance today. Asking for Help: Are you an A on a D-?